A fast-growing division of the perfume market is celebrity perfumes. It seems that nearly every famous singer, actor, athlete or model comes out with a signature scent at some point. Celebrities and fragrance houses alike benefit monetarily from releasing fragrances. Typically, celebrities lend their names or endorse a fragrance, which is marketed through a perfume house, such as Tommy Hilfiger, Emporio Armani, or Chanel. The fragrance is often manufactured by another company, and the firms share the profit. Celebrities can bring in large amounts of money through their involvement with fragrances and other products. In fact, some celebrities' income is primarily from such sources rather than from their actual profession. Some celebrities merely lend their name and image to the fragrance campaign. They appear in print and television advertisements to market the fragrance. When creating a "signature scent," the celebrities will sometimes visit the lab to choose notes, or the ingredients in the fragrance, that they feel best encapsulates their personality and image. Participation in the development of the fragrance varies widely. According to market research firm NPD Group, there are over 500 celebrity perfumes released a year, yet they amount to only ten percent of fragrance sales. 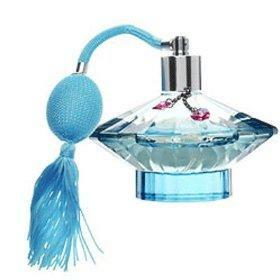 A celebrity's biggest fans might purchase the fragrances or receive them as gifts. Others succumb to the allure that, by wearing a fragrance that is named after a certain celebrity, they will suddenly acquire some of their qualities such as beauty, athletic prowess or musical talent. It is unlikely, however, that most celebrities even wear their own scents. The sales success of celebrity perfumes may also depend on the public opinion of the celebrity. If the celebrity becomes involved in some sort of scandal, some people will be less likely to buy their perfume or any other merchandise associated with them. Many people find the idea of celebrity fragrances silly and would be embarrassed to purchase them. Celebrities with a limited fan base may not find as much success in the fragrance industry as a highly regarded A-List actor, for example.